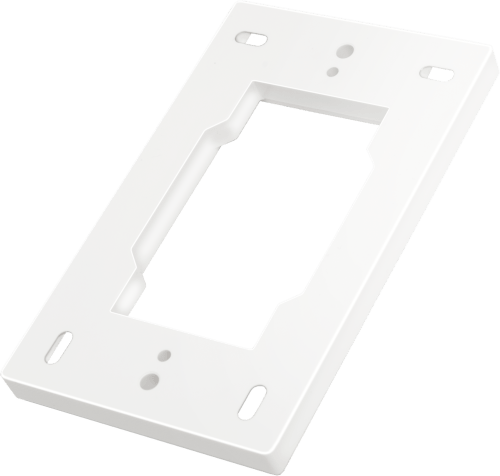 The aesthetically designed Reliable Controls SPACE-Sensor Temperature (SST3) series and SMART-Sensor (SS3) series can be mounted to an extender plate (SS3-EP) to avoid drilling holes in a wall. The backplate extender displaces the sensor off the wall so that it avoids a hole being made for connectors on the SST3 and SS3. Design matches the SST3 and SS3 line of products. Easy installation for concrete surfaces and other surfaces where a hole cannot be made in the wall. UL 94HB Flame class Rating (3). 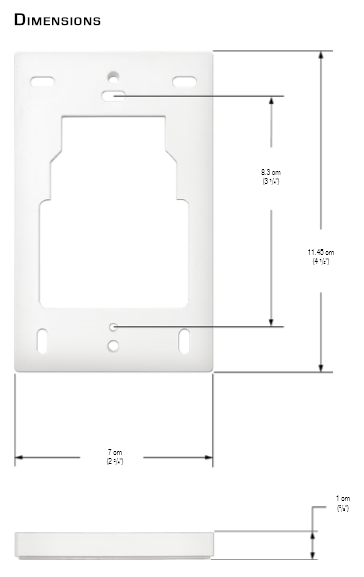 11.45 cm L x 7 cm W x 1 cm H (4 1/2" L x 2 3/4" W x 3/8" H) *Height dimension is proud from wall surface.